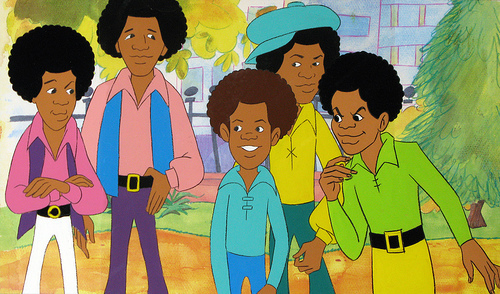 The real Jacksons had nothing to do with the series. They were, of course, fully booked with nonstop recording and touring. Pro voice actors stand in for each group member, and their line readings are probably more skillful than the actual Jackson’s could’ve mustered anyway. Some of the stories are surprisingly creative, usually centering on the group getting hung up on the way to a gig. Some of them put a parodical spin on famous stories. “Jackson Island” sends up Treasure Island, “Michael in Wonderland” is Alice in Wonderland, “Jackson and the Beanstalk” is based on—well, you get the idea. Not all the episodes are quite so fantastical. One surprisingly creative adaptation is “Rasho-Jackson,” a take on Rashomon in which the J5 has split, with each member recounting a different cause. This is one of several featuring the group’s manager Berry Gordy, establishing a semi-biographical theme that runs throughout the series. Diana Ross is part of the series premiere, in fact, discovering the group as she “discovered” them in real life (not really, but Motown marketed it as such). Michael’s real love of pets is represented by his character’s pet rats, Ray & Charles (get it? ), and snake, Rosie. 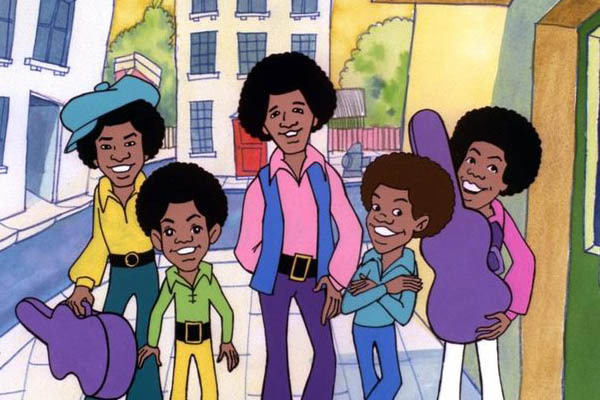 Some of Michael’s early solo songs creep into the second season episodes (which was retitled The New Jackson 5ive Show). 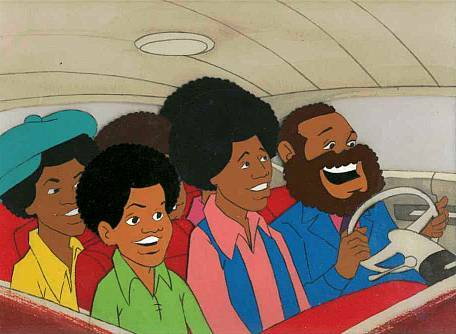 Classic Media brings Jackson 5ive – The Complete Animated Series to Blu-ray with a bare bones release. Nothing fancy, no extra features, no subtitles, just 23 episodes spread over two discs. The complete series is included on two standard DVDs as well. The 1080p AVC-encoded transfer presents a suitably crisp image that always retains its “vintage” look. Grain is present, which is a good thing—it looks like a product of its era. White and black specs pop up from time to time, but never distractingly so. It’s a very colorful show and those colors really pop (a cliché when speaking of high-def transfers, but it applies here in spades). Some of the animation gets notably sloppier in the second season episodes (of which there are only six). I guess maybe the budget got reduced and/or the production schedule was tightened. At any rate, it doesn’t reflect poorly on the Blu-ray transfer. As for the audio, it’s unfortunately lossy Dolby Digital 2.0, which is really strange. Anyone who loves The Jackson 5’s music will share my disappointment that we didn’t get a lossless track, even if it was just the original mono. As fun as the animation is, the real stars of this series are the great songs so it seems kind of backwards to go to the trouble putting this on Blu-ray, but not include HD audio. Okay, enough complaining—it still sounds fine as is. It’s just a missed opportunity. 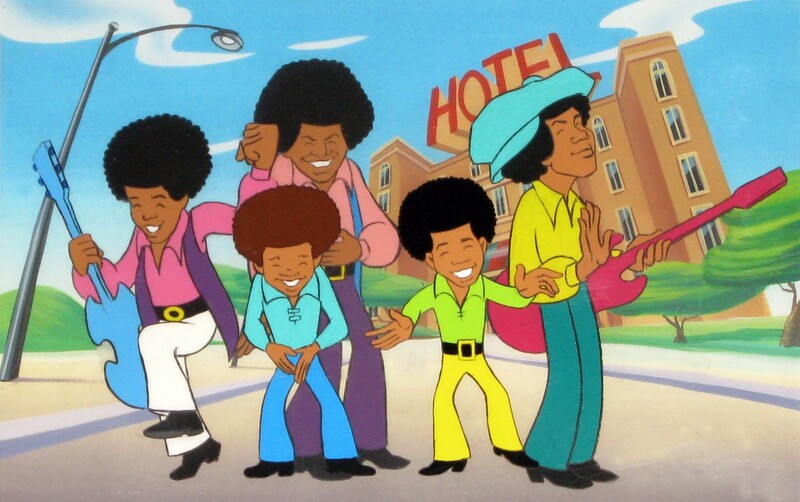 Jackson 5ive – The Complete Animated Series will always have an audience due to the enduring popularity of Michael Jackson. He and his brothers represented the ultimate in feel-good music, for my money. But there’s more to the series than great songs. The animation is creative and the deadpan voice acting makes the jokes seem funnier than they often are. 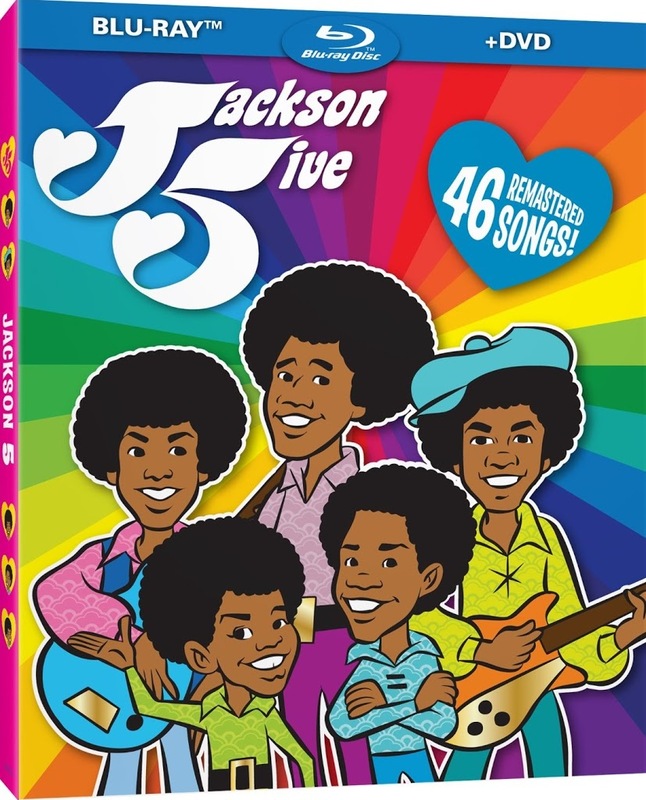 This release works perfectly as a nostalgia trip for older viewers, but also serves as a great way for younger viewers to discover The Jackson 5.